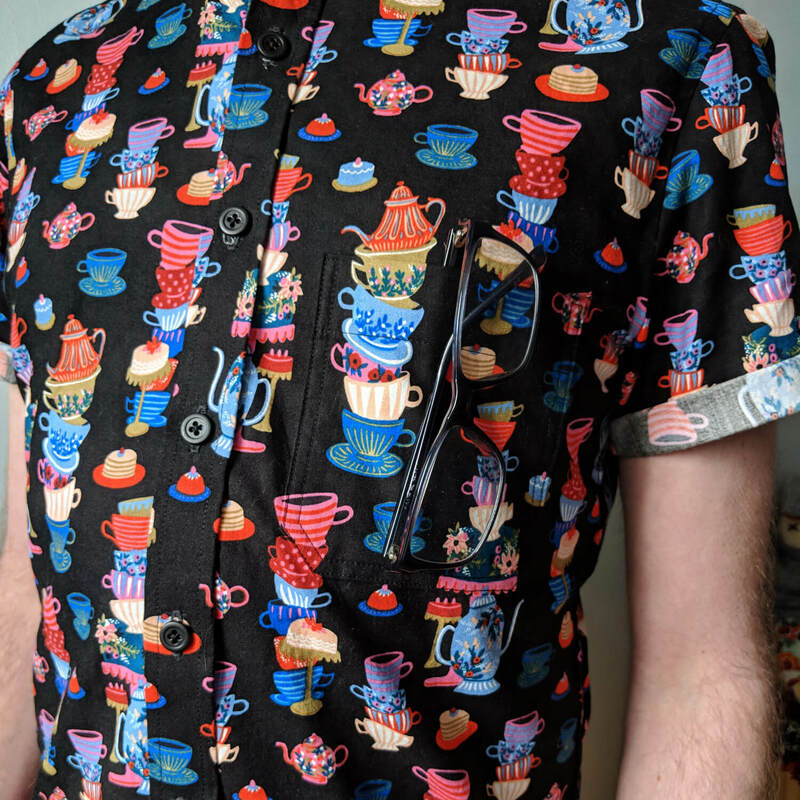 Mal ♥ Tea, or A Mad Tea Party Fairfield Button-Up! This is Mal’s birthday shirt! 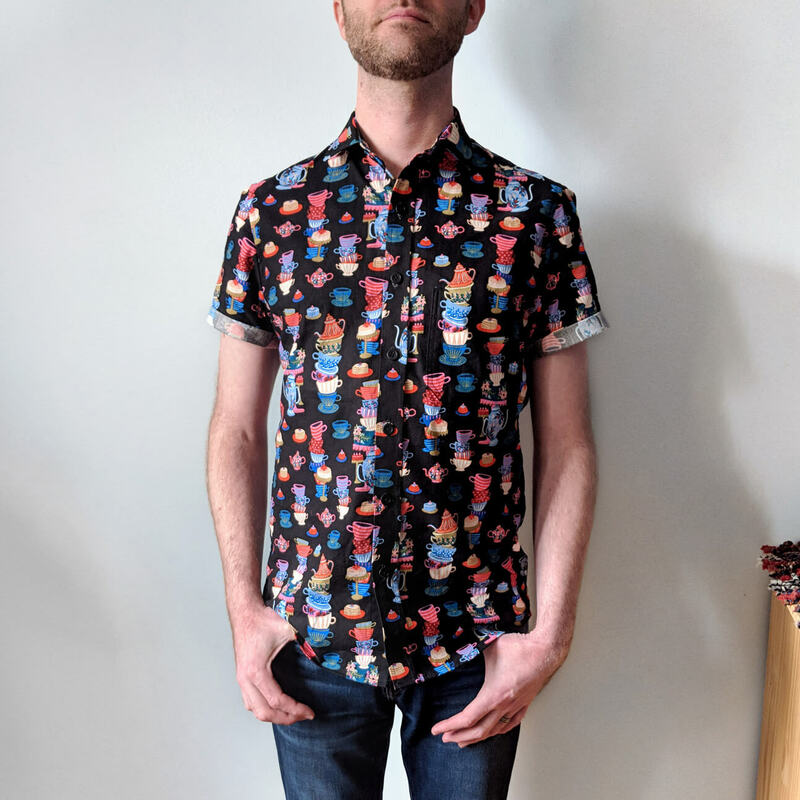 I can’t remember what I was searching for but this Cotton + Steel Rifle Paper Co. Wonderland 100% cotton popped up and I had to order it immediately. Mal loves tea. 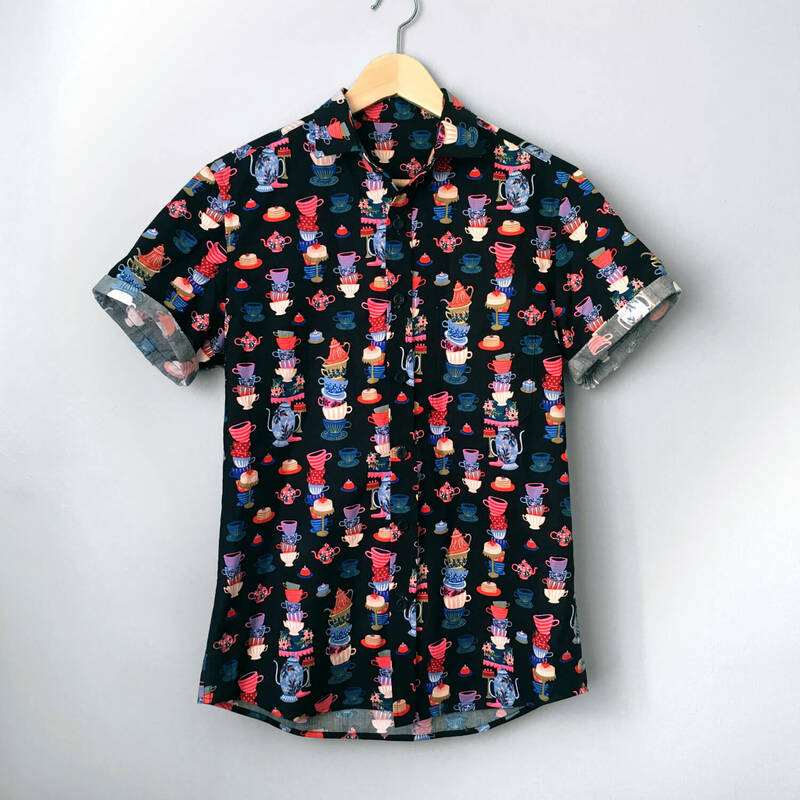 He also enjoys good design and illustration, and fun shirts, so this fabric is perfect. The Thread Theory Fairfield is such a good canvas for fun fabric. The trickiest part of using this busy print was deciding what to center on the button placket. I went with a strip that had more black than pattern and am pretty happy with it. For this version we decided to shorten the sleeves a bit and cuff them and I love how the cuffs look. 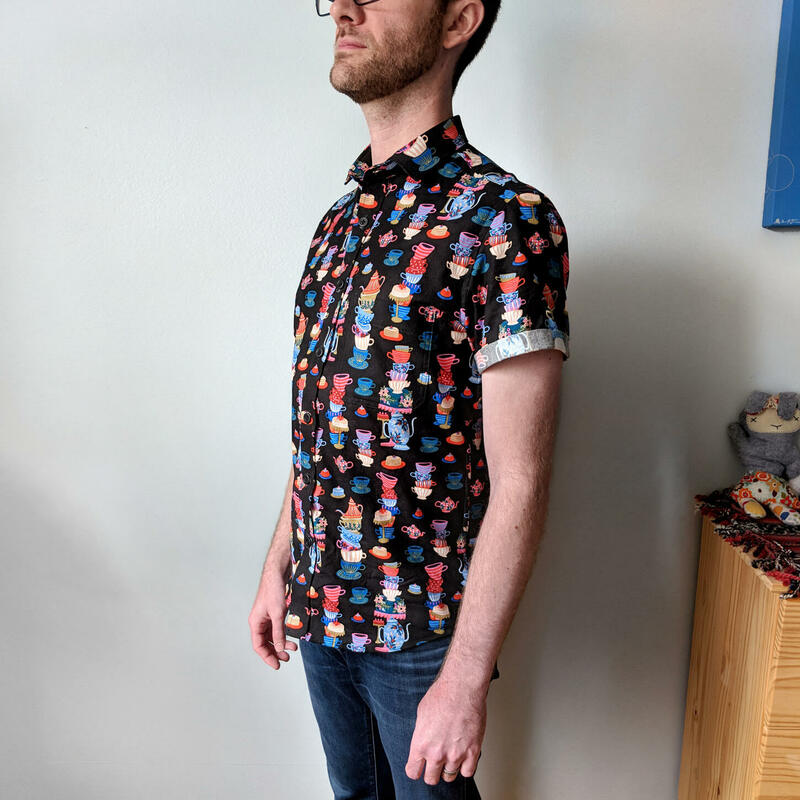 I can’t say that the extra couple of inches of fabric made the print overwhelming, but the cuff helps break things up and makes the shirt feel more casual. I also like to call this the second edition of “WHAT POCKET?” Here is a close up with his glasses to show off the invisible pocket.